There are so many ways to enjoy beets: raw, boiled, baked, juiced, and roasted are just a few ideas. And don't throw the greens away. While the roots are high in folic acid and fiber, the greens are rich in vitamins A and C, along with calcium and iron. Beets are often overlooked because of their tendency to stain surfaces and skin. To avoid staining and mess from red beets, all you have to do is cover the countertop with plastic wrap or wax paper and wear disposable gloves. If you do end up with stained hands, rub them with a lemon half. Or, you may choose to substitute the red variety with golden beets or white beets; use them in any recipe that calls for red beetroot. Here are some of the best recipes, from soups and cocktails to salads and sandwiches. 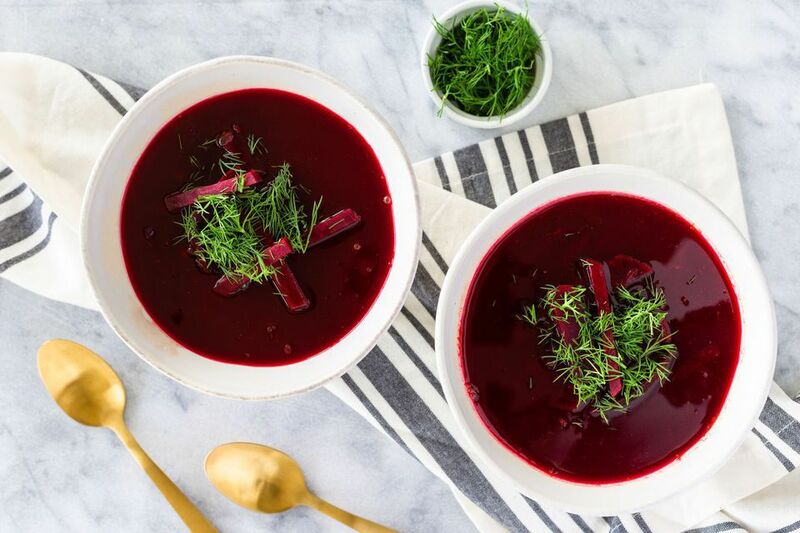 If you can't pronounce Barszcz Czysty Czerwony, don't worry, you can call this soup pure red borscht, which is the literal translation, or simply call it Polish beet soup. Whatever you call it, the soup is an easy and delicious combination of canned or fresh cooked beets, stock, garlic, and lemon juice. Add some fresh dill or potatoes if you like. The grill might not be the first thing you think of when you are deciding how to cook your beets, but it is an excellent method. The hot grill chars these sliced beets and brings out the sweet, earthy flavor. Sliced red beets are an essential component in this fabulous baked salmon recipe, but it doesn't stop there! Other ingredients include blood oranges, red onions, almonds, and honey. If you're planning a romantic dinner for two, you must consider this dish! In this classic recipe for Harvard beets, nutrient-rich beets cook to perfection in a tangy sauce. Use fresh beets or make them with canned beets for a quick and tasty side dish. Serve bright and attractive baked falafel in pita loaves or pile them on greens or spinach and drizzle with tahini sauce. They make great vegetarian meatballs, too! Preserve your beets and enjoy them throughout the year with this recipe for pickled beets. Follow the recipe for four 1-pint jars or scale it up for more. It's an excellent way to enjoy beets along with any meal. Beet and chickpea patties make up the filling for these attractive grilled cheese sandwiches. Za'atar seasons the vegetable and feta cheese layers. Fresh parsley, lemon juice, and seasonings enhance the vegetables in this Moroccan beet salad. Cook the beets in boiling water or use your pressure cooker. A glaze mixture of brown sugar, balsamic vinegar, and butter turns ordinary beets into something special. 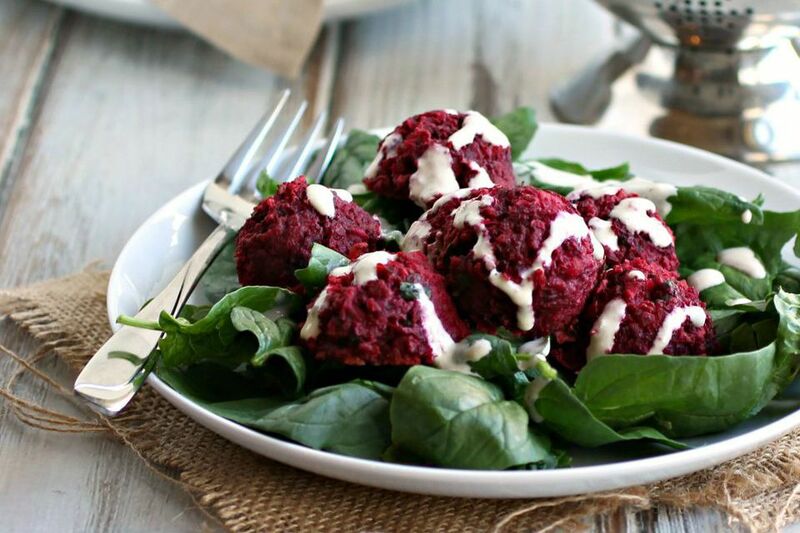 These are delicious beets to serve with just about any family meal. The winter vegetables in this roast include rutabaga, Romanesco, golden beets, and parsnips. Spice it up with some chili flakes or herbs if you like. Brown sugar, fruit juice, and simple seasonings make up the sweet glaze for these delicious golden beets. Feel free to use apple juice, pineapple juice, apricot nectar, or orange juice in the recipe. These sweet and sour beets combine boiled beets with some red onion, a small amount of garlic, and a tasty sweet-sour glaze mixture. Roasted golden beets add natural sweetness and nutrients to this delightful beet tahini. Serve the beet tahini with pita bread or chips for dipping. Roasting is an excellent way to cook beets, as it brings out the natural sweetness. Roasted beetroots are combined with the nutrient-packed greens and stems and crumbled cooked bacon to make this tasty salad. The simple red wine vinegar dressing complements the beets beautifully. The honey balsamic dressing takes this basic beet and spinach salad to new levels. Bacon, beets, spinach, and red onion make up the salad with the optional topping of shredded or crumbled cheese. Sliced pickled beets and a savory yogurt spread add zing to this bright and colorful layered sandwich. With layers of butternut squash, crunchy bean sprouts, and guacamole, it's a vegetarian delight! This shrimp and beet salad includes the ancient grain, spelt, and mesclun lettuce. A simple dressing of rice vinegar and oil adorns this lovely salad. If you still have plenty of beets left after making salads, soups, and sides, juice them! This Ruby Queen cocktail will be the talk of your party. The combination of honey syrup and fresh beet juice complement the Cutty Sark Whisky surprisingly well. Add this kosher roasted root vegetable combination to your holiday menu. Vegetables include chunks of beets, sweet potatoes, red potatoes, and onions. Make these crunchy fried beet chips with golden beets or red beets. The sweet, earthy flavor of the beets make these chips a fantastic alternative to everyday potato chips.